American Orchid Society. A great source of information. British Orchid Council. Umbrella organisation for orchid business and societies in the UK. British Paphiopedilum Society. For slipper orchid enthusiasts. Royal Horticultural Society. Responsible, inter alia, for registering orchid names. Orchid Society of Great Britain. 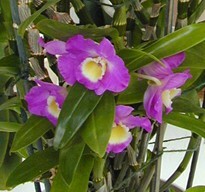 Premier UK orchid society, to which most others are affiliated. Slipper Orchid Alliance. International organisation dedicated to slipper orchids. Swiss Orchid Foundation. Major international body involved in orchid research and conservation. Burnham Nurseries. Based in Devon. Open daily. Laneside Hardy Orchid Nursery. Based in Lancashire. See website for Open Days and ordering details. Laurence Hobbs Orchids. Based in West Sussex. Open by appointment Monday to Thursday. 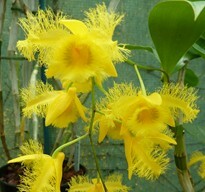 McBean's Orchids. Based in East Sussex. Open daily except Mondays. Ryanne Orchidee. French regular at big UK shows. Growth Technology. Orchid nutrients and growing medium. Orchid Accessories. Peter White' s orchid sundries site. Simply Control. Controls & equipment for orchid growers. Kate Boyce-Miles. DOS member and orchid blog. International Orchid Register. Find parent and grex names. 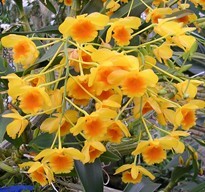 Orchid Species Photo Encyclopedia. What it says! 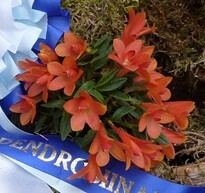 Orchidees en Nord. French site, great photos. Paphs.net. 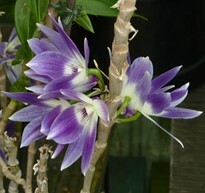 Collection of links to other orchid sites. Pbase Orchid Gallery. Great photos. Left click on the name to be taken to the corresponding website on a serarate page. There are many orchid sites on the web and these are just a few. Most of these sites have links pages, too! Information on the uses of cookies on this site can be viewed here.